The GCL London final today is one not to be missed. With four teams heading into today’s competition on a zero score, it’s going to be tight and the St Tropez Pirates who have picked up just two time faults will be looking for a clean score today. Last to go and on top form at the moment will be the home city London Knights. 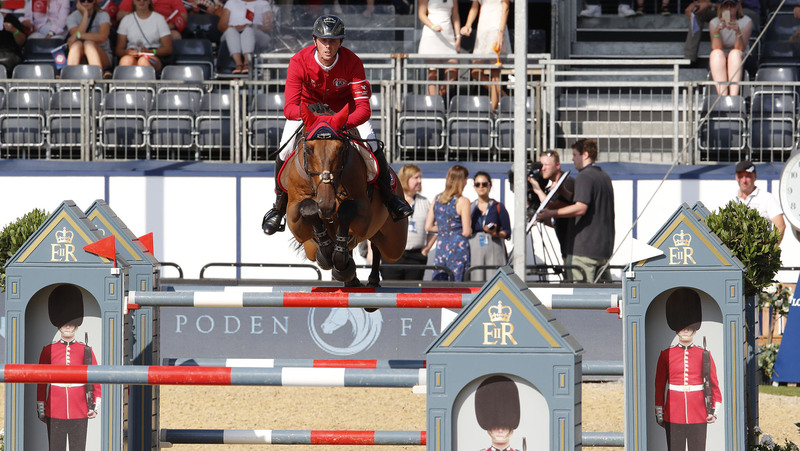 Ben Maher has made a tactical horse swap from Winning Good to Explosion W – who has been jumping exceptionally well recently, but will this pay off? Inside the top five teams going into today’s battle for the final there has been a rider change, Laura Klaphake will take over the reins for the St Tropez Pirates alongside Athina Onassis. The Miami Celtics have chosen to keep top horse Ipswich van de Wolfsakker ridden by Shane Breen while Jessica Springsteen passes the reins to team mate Denis Lynch is swapping to the stallion RMF Echo. Further down the pack Christian Ahlmann of the Scandinavian Vikings will now be riding Caribis Z instead of Tokyo who just picked up just the one time fault yesterday. The seventh team to jump in the field, the Prague Lions will bring Anna Kellnerova riding the 10 year old gelding Silverstong G, alongside Peder Fredricson riding a different horse from round one, H&M All In. The action kicks off at 13.40 local time and if you can’t be here in person you can catch it all live on GC TV and via FB LIVE on the official page.